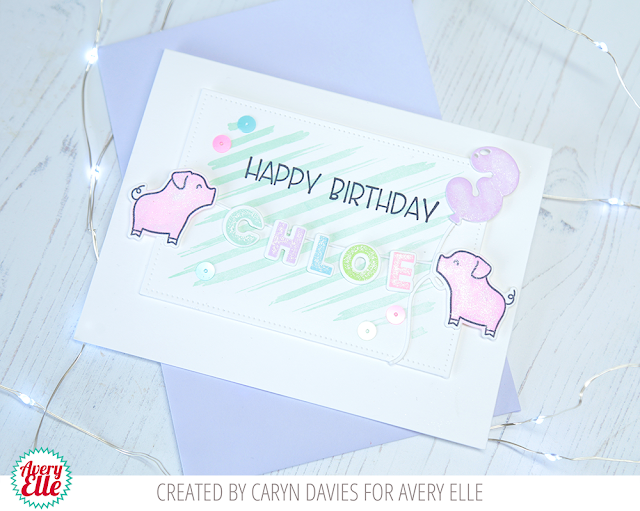 Hi, it's Caryn here today with a couple of cards using the new Painted Backdrops stamp set. It's a great set for adding a subtle background for your focal images and there are quite a few techniques you can use with it. Here I created a multi-coloured background by stamping the stripes in different colours of ink (I used Avery Elle Pigment inks in Mimosa, Orchid and Mint To Be). I used my MISTI stamping tool to add ink each time which makes it easy to create this look. 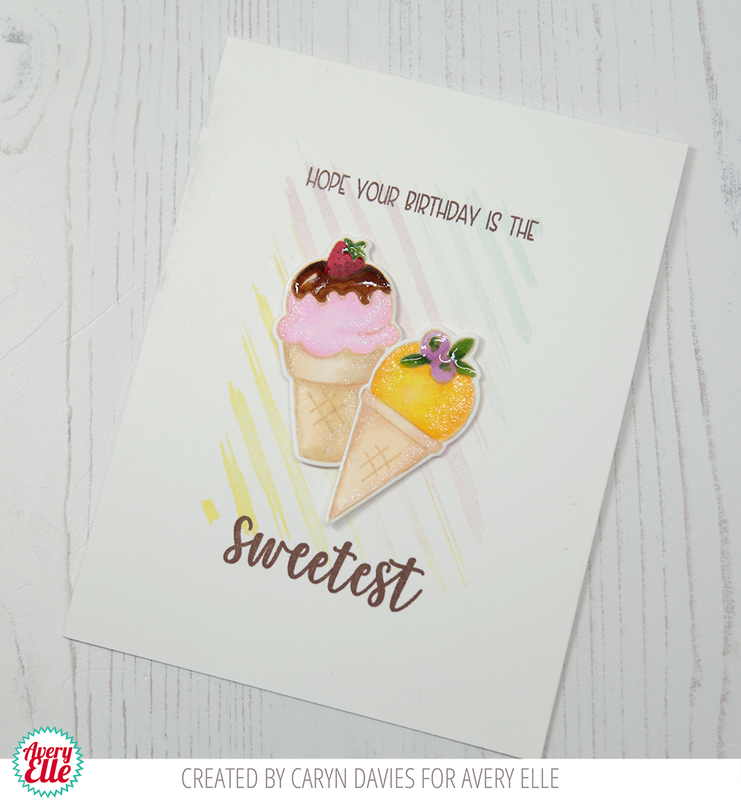 I then stamped the two ice-cream images from The Sweetest stamp set and coloured them using Copics. 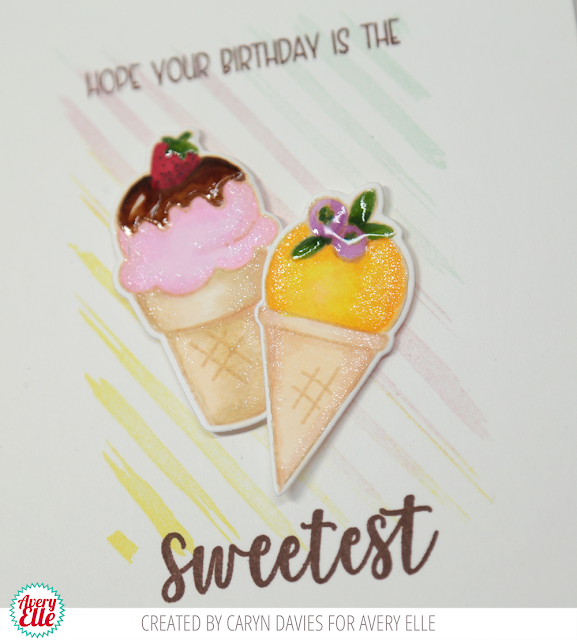 For this second card I used the same stamp with Mint To Be ink and created a background for a card I recently made for my niece who turned 3. I used the Party Pals stamp set along with the Modern Alpha stamps and dies and Numbered Balloons set. Both the cards are wonderful ,I love ved the subtle stripy BG.